LANSING, Mich. — Legislation that would update and improve guidelines for skilled trade professions was introduced in the state Senate on Wednesday. Senate Bills 963-972 would streamline more than 30 years’ worth of statutes to create the Skilled Trades Regulation Act (STRA) in Michigan. The state currently operates under what are considered by many to be ambiguous regulations that have been pieced together over the past three decades. These statutes lack modern language with regard to application and complaint processes and enforcement of penalties. 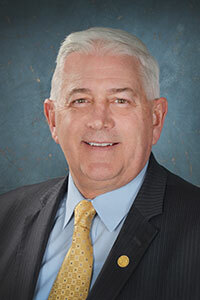 “Creation of the Skilled Trades Regulation Act will update and revise the relevant laws into one universal code that would ensure they meet the highest standards for enforcement and efficiency,” said Sen. Ken Horn, R-Frankenmuth. The STRA seeks to remedy several inconsistencies within the state’s skilled labor industries. By basing the law off guidelines from both the Michigan Occupational Safety and Health Act and the state’s Public Health Code, this legislation would create uniformity and consistency among application, renewal, and testing processes for all skilled-trade licensees. The act also brings attention to the issue of individuals who are licensed across multiple trades. Under current law, obtaining licensure for more than one trade is often tedious due to the several varying statutes and processes that can be involved. The STRA seeks to improve this by providing a single avenue for licensure and renewal for those who are licensed in several professions. SBs 963-972 have been referred to the Senate Committee on Regulatory Reform for consideration.